Destiny’s Rise of Iron is coming to latest-generation consoles on September 20. The new expansion for the first-person shooter video game will be only released for PlayStation 4 and Xbox One. Players of older consoles will have the opportunity to transfer their characters. The new chapter of the game will take players to where the game first started. It can only be downloaded by owners of Destiny who have the previous expansion The Taken King. Developers Bungie and Activision Publishing said the game’s community continues to grow. Pete Parsons, CEO of Bungie, described Rise of Iron as an “exciting addition”. He said that developers “are continuously blown away” by enthusiastic game’s supporters. The pack includes brand new locations and new Raid and Strike modes. “We have been working hard with our partners at Bungie and are planning great, new content for Destiny’s 30 million registered players. 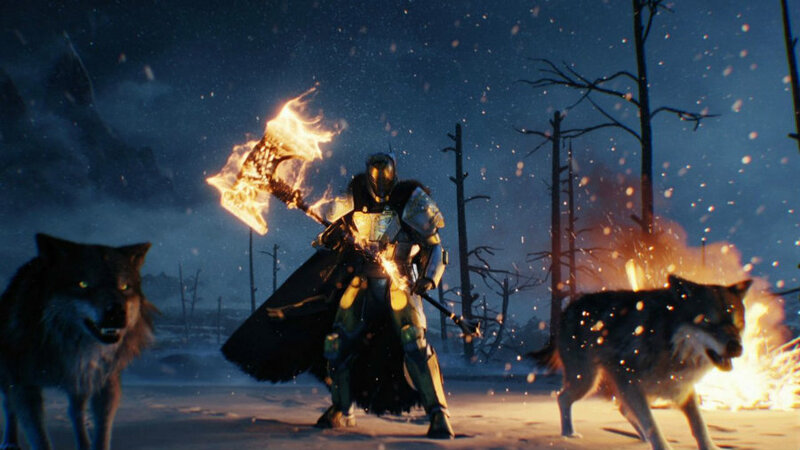 Rise of Iron is the first step in fulfilling that promise,” said Eric Hirshberg, CEO of Activision, in a statement. The rise of Iron will also come with new arms, armor, gear, and a new competitive multiplayer mode. Guardians will be challenged “to take their place as the next generation of Iron Lords”, said Bungie in a press release. Players will be accompanied by a character from humanity’s Golden Age, to overcome the plague. Additional content includes an Earth’s setting called The Plaguelands. Up to six people can play the new Raid mode. Other features are a new cooperative three-player Strike mode, maps, and Light level increase. Video game analysts at Polygon said that Rise of Iron will hold a battle between potent technology against humans (Lord Irons). The “fan favorite” weapon Gjallarhorn will be available for all players in Rising of Iron. People who pre-ordered the expansion on June 9 will obtain a limited-edition, black, and silver Iron Gjallarhorn confirmed Bungie. Players of Destiny on the PS3 and Xbox 360 will not be allowed to join live events since August. Since some servers are being shut down, gamers won’t have access to some weapon stores. Bungie has activated a transfer service, to move characters between consoles. To move a character, players need to acquire a copy of Destiny: The Taken king for latest-generation consoles. Characters and achievements can be transferred using PlayStation Network or Xbox Live, said Tech Times. Bungie announced Rise of Iron debuts on September 20 and can be pre-ordered since June 9. The extension costs $29.99. PlayStation users will receive a few bonus features such as “timed exclusive content”, that will be specified in the coming months.